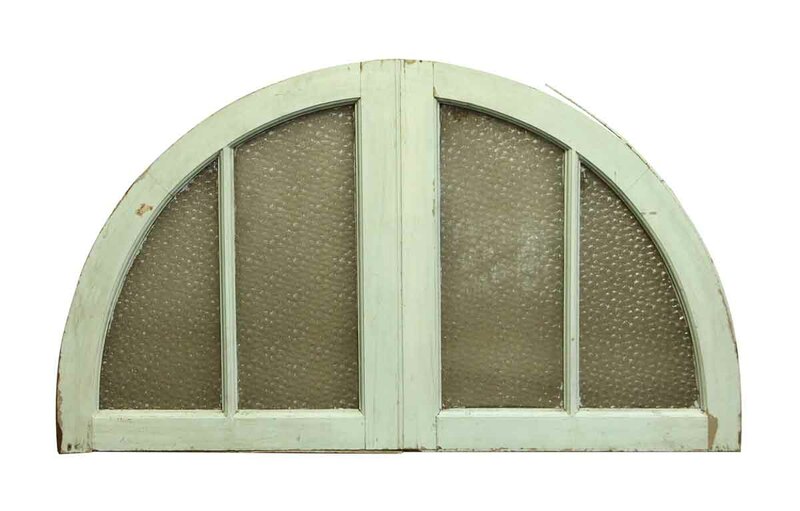 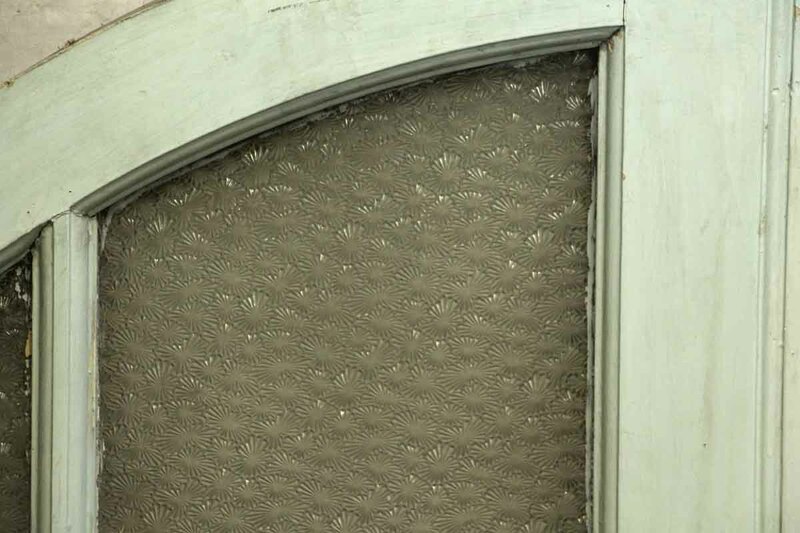 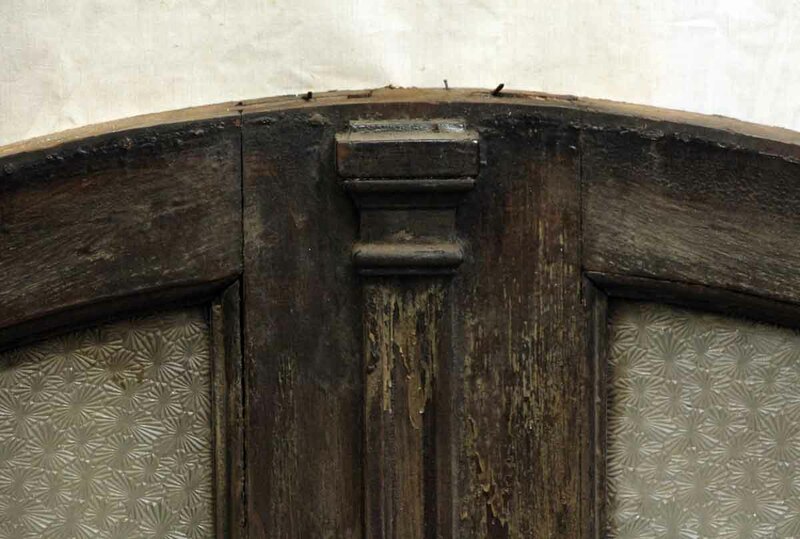 Turn of the century arched transom window with original textured glass. 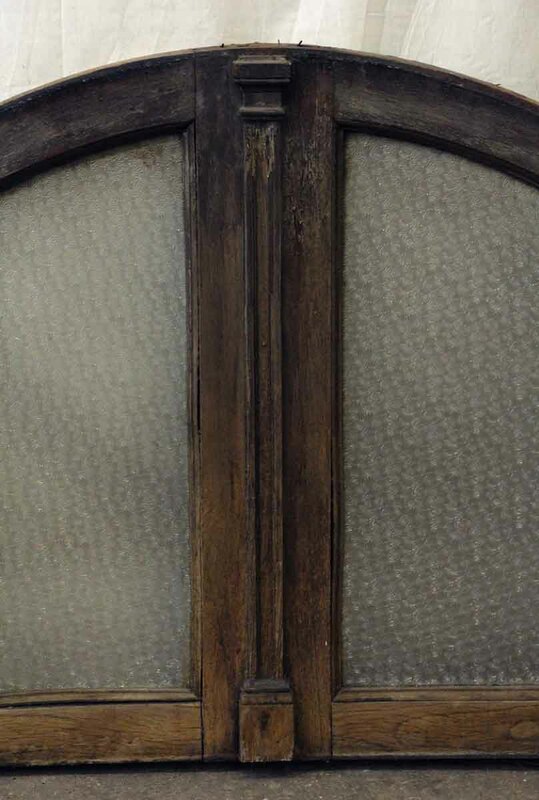 It is painted green on one side and a dark wood tone on the other side. 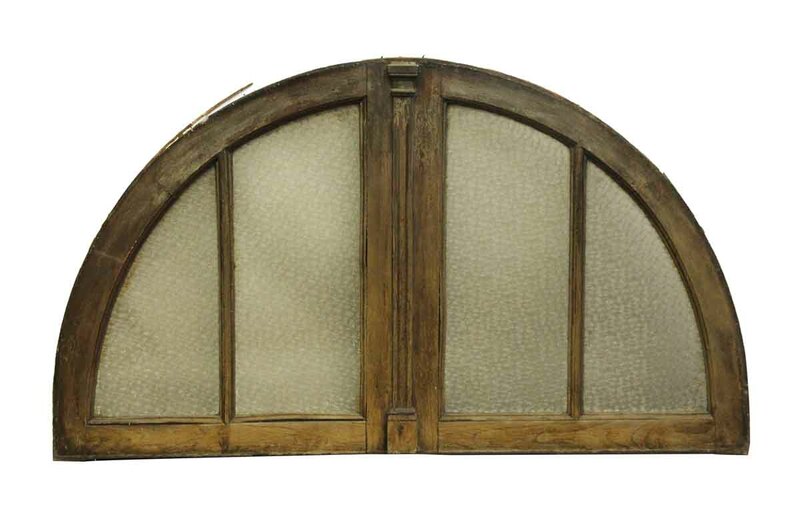 Both the glass and the wood and structurally sound.